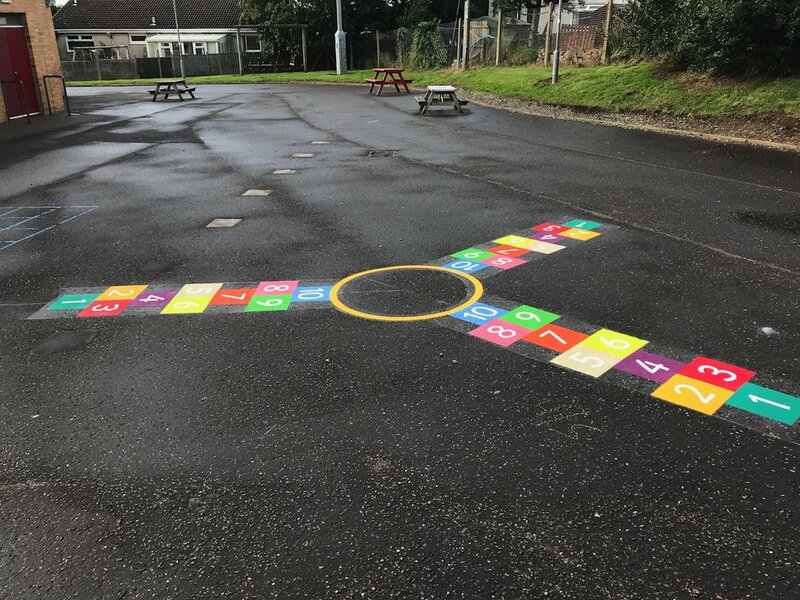 Our installation team travelled North to Amble, Northumberland to install this fresh new range of playground markings for Amble First School. 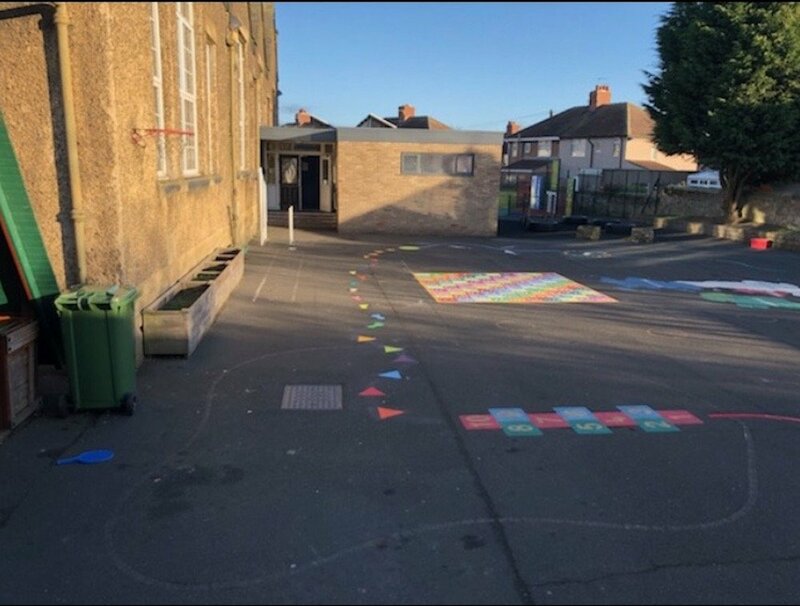 Our installation team travelled North from our office in Gateshead to Amble in Northumberland to install this fresh new range of playground markings for Amble First School. 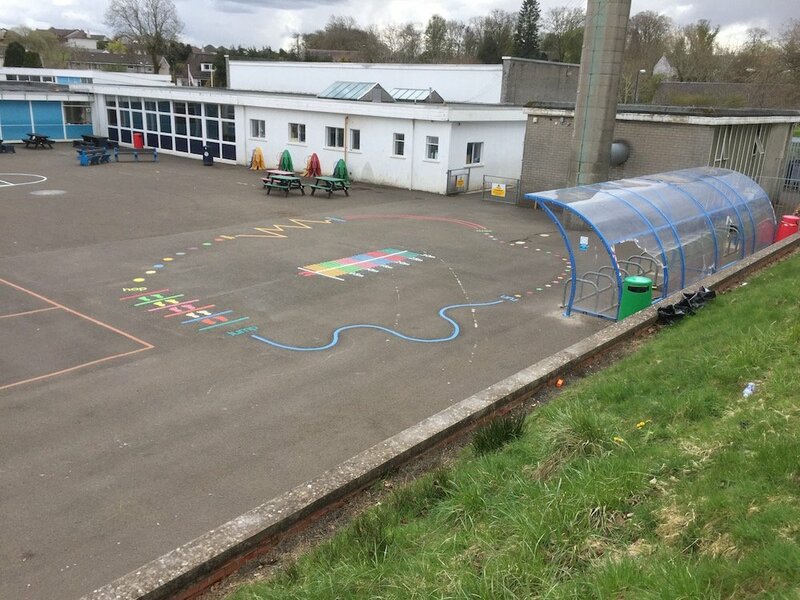 This range of markings included a 1-100 Grid, an Olympic Trail, and a Netball Court. 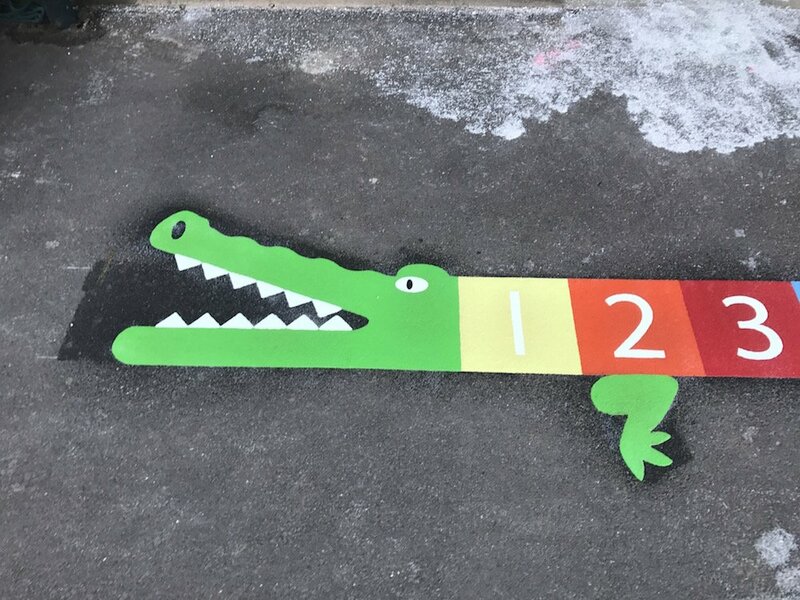 Firstly the team installed this 1-100 Grid. 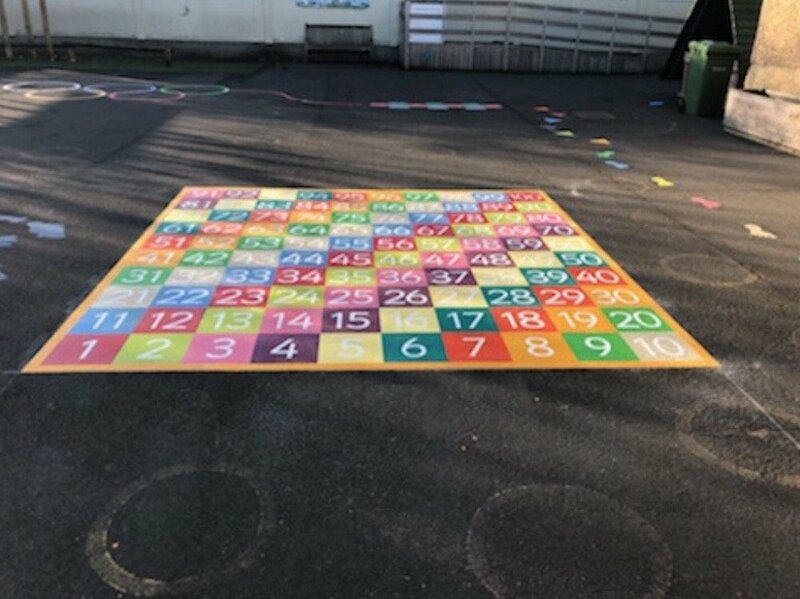 The 1-100 Grid is a great game for teaching young children basic mathematics and can be a tool for many great educational playground games. 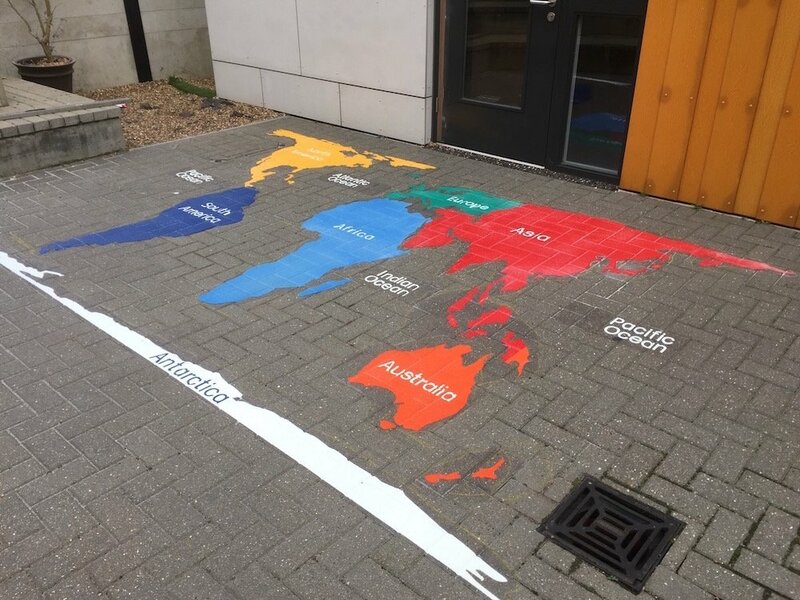 Next, the team installed this Olympic Trail. 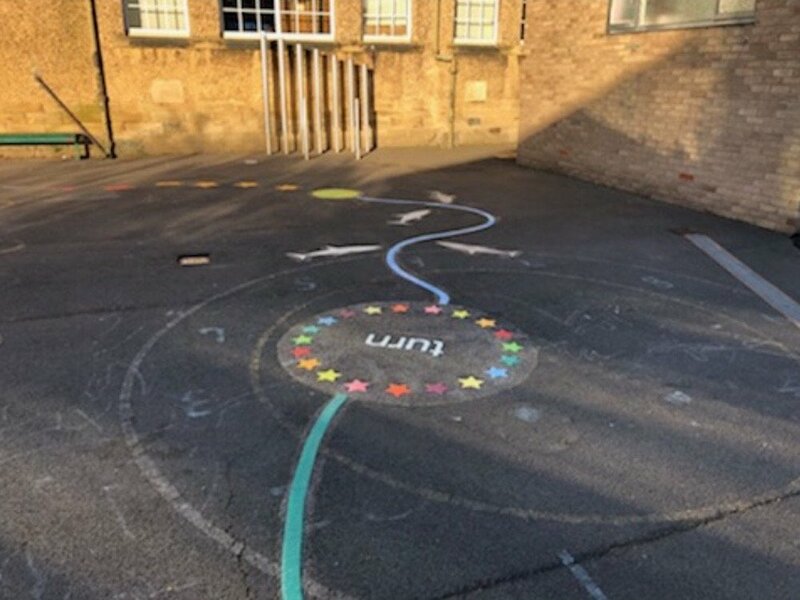 The Olympic Trail is an exciting variation of the activity trail with the inclusion of the hopscotch and the Olympic rings. 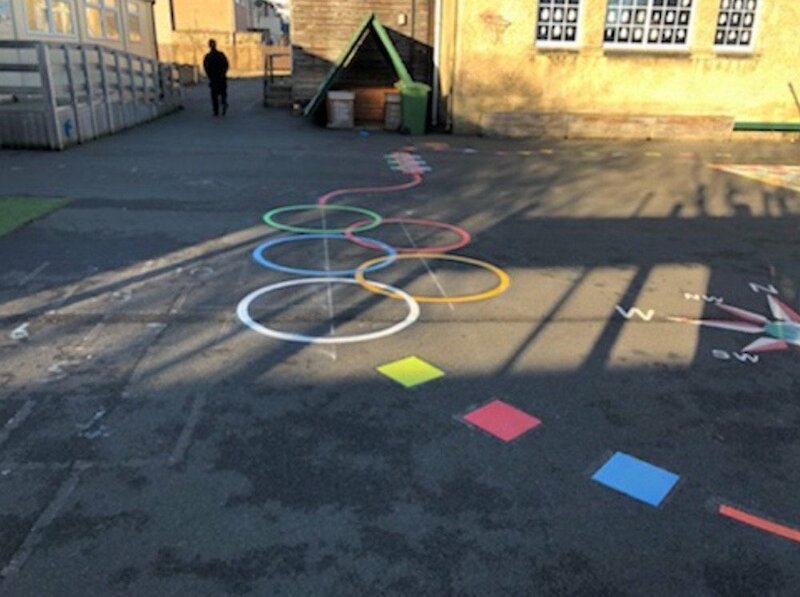 The Olympic Trail can be used as part of PE lessons or during break times. 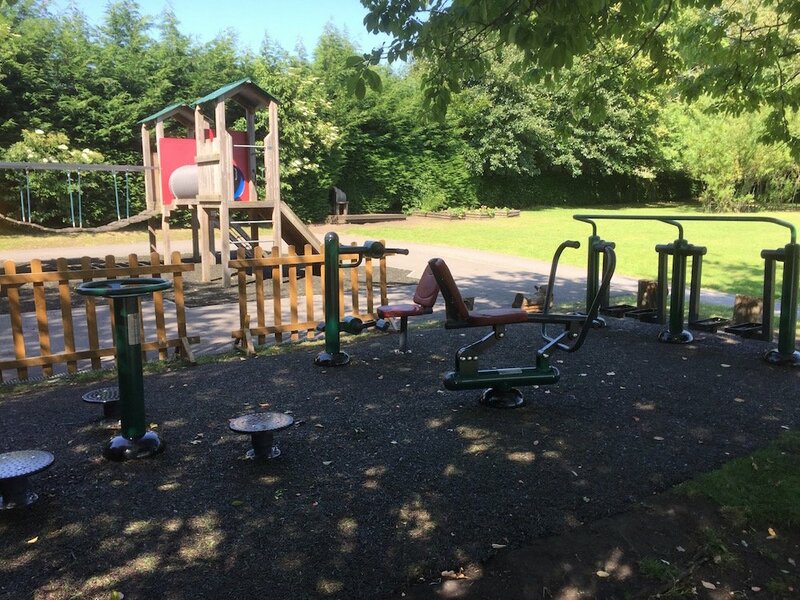 Children can use their imagination to make up new games whilst developing their core physical skills such as running jumping and hopping. 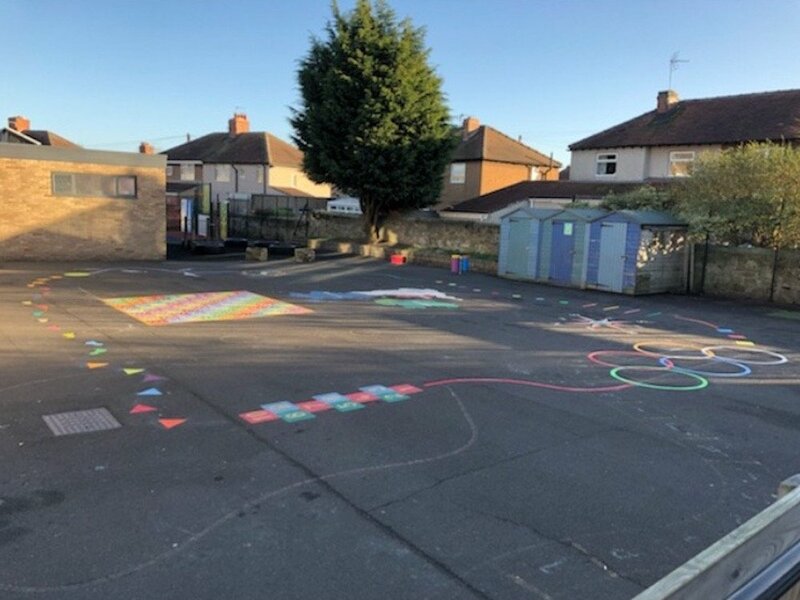 Lastly, the team installed this Netball Court. 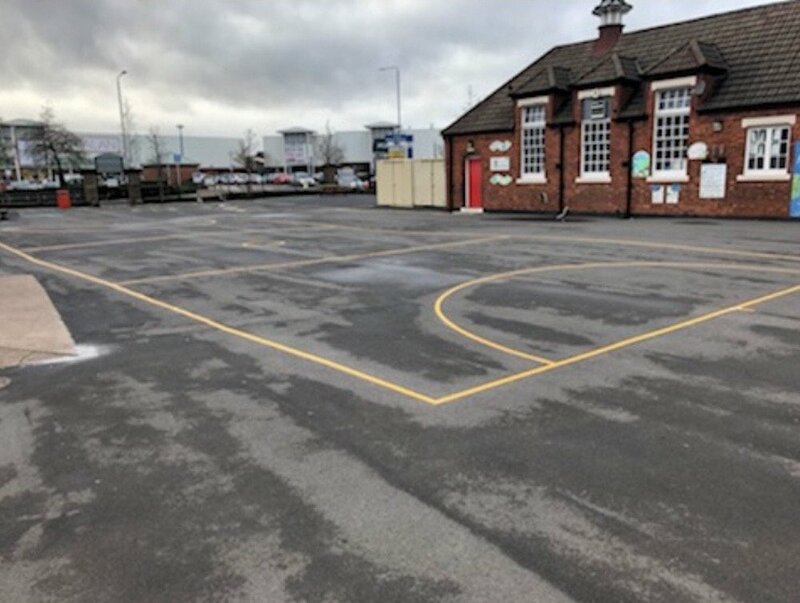 A standard size Netball Court is 30m x 15m. 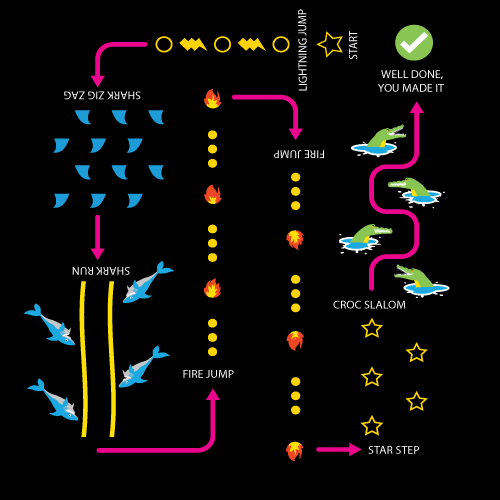 Colour can be chosen as required. 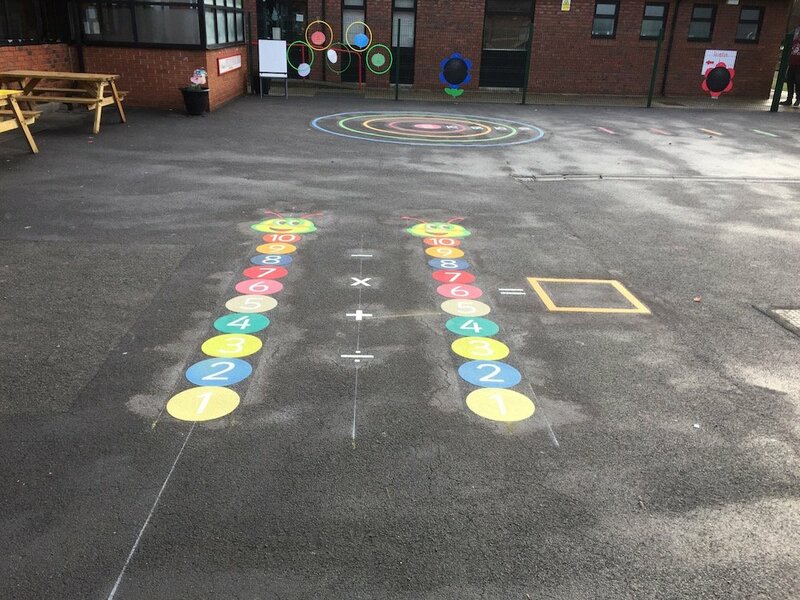 The Netball Court can also be designed to fit different playground sizes.